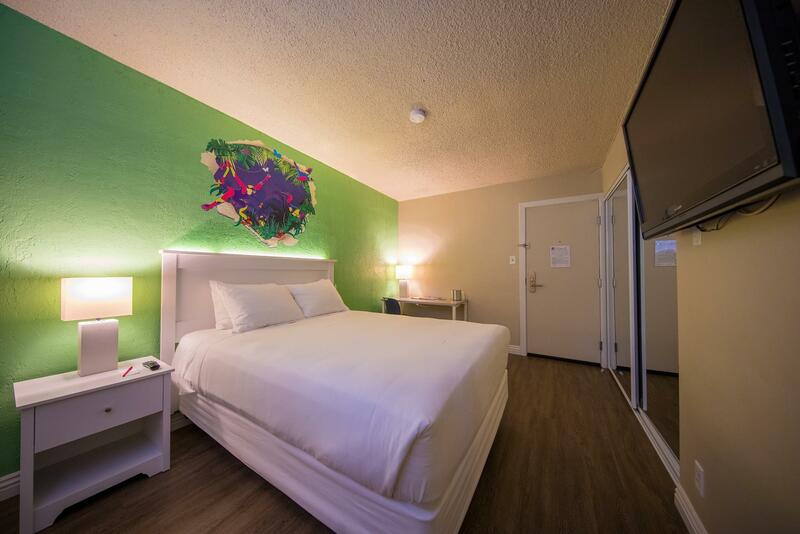 "This is my go-to hotel in the downtown Vegas area for the pa..."
Have a question for Downtowner Motel? "Nice affordable place , just a block from Fremont street." "As about the last of the affordable hotels in Downtown, it's a great spot." "the beds are very comfortable and the A.C. works very well." 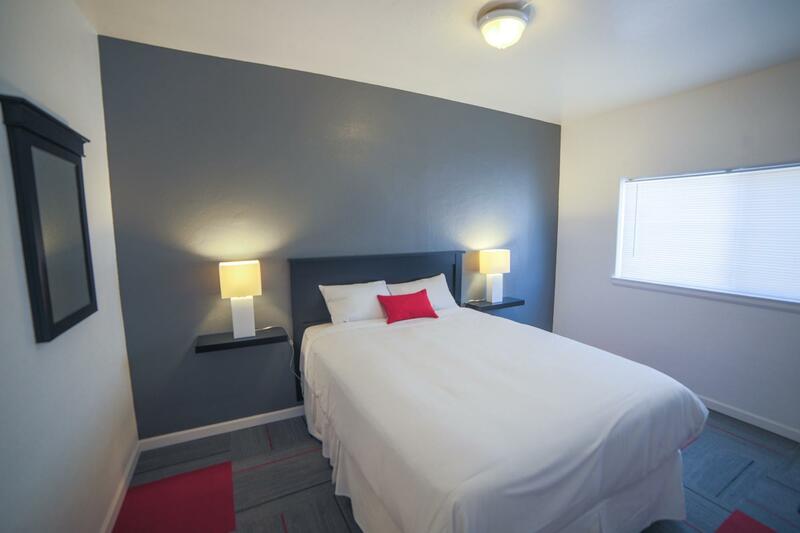 Well-placed in the restaurants, casinos, nightlife area of Las Vegas (NV) city, Downtowner Motel provides a most conducive spot for you to take a break from your busy days. The city center is merely 5 miles away and the airport can be reached within 30 minutes. 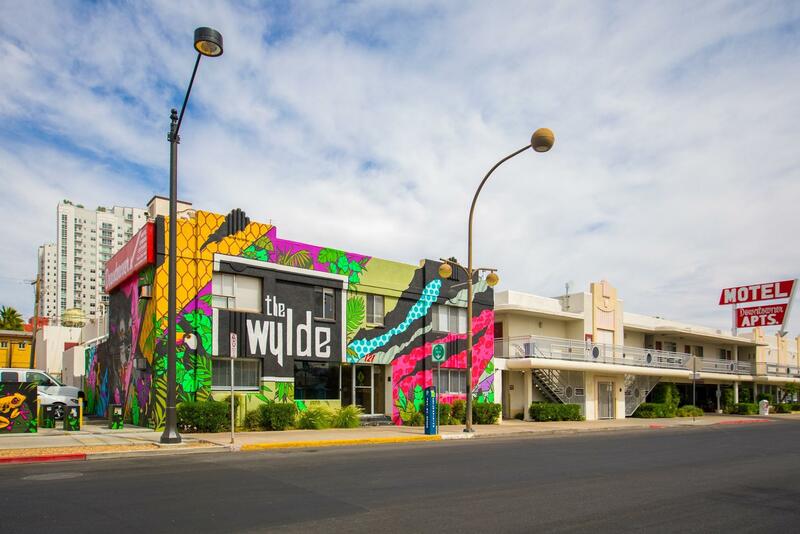 For sightseeing options and local attractions, one need not look far as the hotel enjoys close proximity to Winky Designs, Stained Glass Chapel, El Cortez Barber Shop. Downtowner Motel offers impeccable service and all the essential amenities to invigorate travelers. Top features of the hotel include free Wi-Fi in all rooms, express check-in/check-out, luggage storage, laundry service, vending machine. 40 rooms spread over 2 floors provide a warm and pleasant home away from home. Modern comforts such as television LCD/plasma screen, carpeting, mirror, towels, closet can be found in selected rooms. The complete list of recreational facilities is available at the hotel, including outdoor pool. Discover an engaging blend of professional service and a wide array of features at Downtowner Motel. "Rooms are clean and quiet." The property requires a key deposit of 10 USD per room. When booking for 5 or more rooms, different policies and additional supplements may apply. This is my go-to hotel in the downtown Vegas area for the past 3 years. The infamous "resort fees" have got so outrageous at Vegas hotels, it's nice to have a lace with at least reasonable fees. The location is just a tad east of LV Blvd and a short walk to the Fremont St Experience. Rooms are clean and quiet. Staff is helpful. Just wish they would put two double beds in some of their rooms. Disappointing stay(hot water flow changes during shower, worn out smelly carpet in Hallway, no coffee making machine/microwave). They change menity fee for $5.65 a day! Got room, staff was nice, but room was small, I didn't really bother me because the AC was nice and cold, but the restroom was the issue, they unplugged it but it kept plugging up, had to unplug it myself with a plunger, this happen more than 5 times,we had to walk to casinos to used the restroom, they said they removed $50.00 from my fee ,but when I looked at bill it was the same amount. Cons: rough area, guests are a mix of travelers and sketchy-looking folks, was a little worried about my car in the open street lot. There was a needle on the ground in the parking lot. So be careful. Pros: the rate is cheap. The room itself is basic but clean. Updated decor. Stay if you're brave and need a good deal, otherwise spend a little more money elsewhere. Nice affordable place , just a block from Fremont street. I usually stay at the strip so this is a nice change away from the huge crowds. Room was clean, came with soap and towels as it should. Don't let the hallways and exterior scare you, it's pretty nice inside the room. The only thing was my AC machine was kind of loud, but not a huge deal breaker considering how much I paid for the night. As about the last of the affordable hotels in Downtown, it's a great spot. Nothing fancy, but clean and comfortable, and about three short blocks from Fremont St. action. I'll be back. Rooms are nicely renovated, nicer than you would expect. Some of the staff are kind of unprofessional and unpleasant but a few of them are really nice and helpful. The maids clean late, when I come back to my room after a long day and want to showe & relax, the maid is in there cleaning. But I didn’t mind tolerating minor things at such a cheap rate. They were supposed to charge me $8.63 (Pay at the property). And I saw my credit card transactions later and I realized they charged me $55.65. I am going to dispute the transactions. What a thief. Be careful if you still wanna stay at this motel. They did not honor my reservation claiming I had to leave a $50 deposit on the same credit card I used to book the room & Agoda & refused to take any amount of cash. They did this on a busy holiday weekend & left me stranded. They couldn't care less. Normally Agoda censors negative reviews needs to be escalated. Rooms were clean and that's about it. There was a funky smell at the corridor and the walls are extremely thin, you can hear what the next door's doing. Just one block from "old" Vegas. Not necessarily a great location for families. Be sure and bring your original booking receipt for verification of charges, especially if you get a really great deal through some of the travel sites. This place usually charges around $200/night and caters to ones who rent by the week....so a mix of travelers, locals, and some people going through very hard times. But the beds are very comfortable and the A.C. works very well. And it is not connected to a casino so you don't have to walk for "miles" to get to your room. Close to a variety of restaurants. The place needs a total remodel. No Mimi fridge. Only one ice maker is by the office. If you don't return the pool key by 8pm they charge you $50. Parking is limited and across the street. Our main gripe about this property was the paper-thin walls! Lying in our bed we could hear the guests next door brushing their teeth and every word of their conversation, the people below us engaging in intimate activities, and much more where we felt we couldn't really do anything without everyone in the complex knowing all of our business. Would not recommend. The hotel room little but clean. There is no hair dryer nor iron. The toilet had a flushing problem but overall it was pretty good. It was really close to freemont Street and the bus that takes you to the strip. At night time there was a lot of strange people walking around outside. Housekeeping wouldn't make the bed while I was in the room and I didn't want them in the room without me so I made the bed myself. VERY NICE PROPERTY..WOULD NOT EXPECT IT FROM LOCATION BUT ROOM WAS BIG UPDATED AND VERY CLEAN. STAFF IS SUPER NICE..GREAT RATE..